In the search for our innate nature, we will discover our lost compassion. Buddhists believe that life is sacred and that killing sentient beings is unjust. For many religions and even people, choosing vegetarianism is the way to live a more peaceful life. By avoiding meat, vegetarians avoid spreading violence. 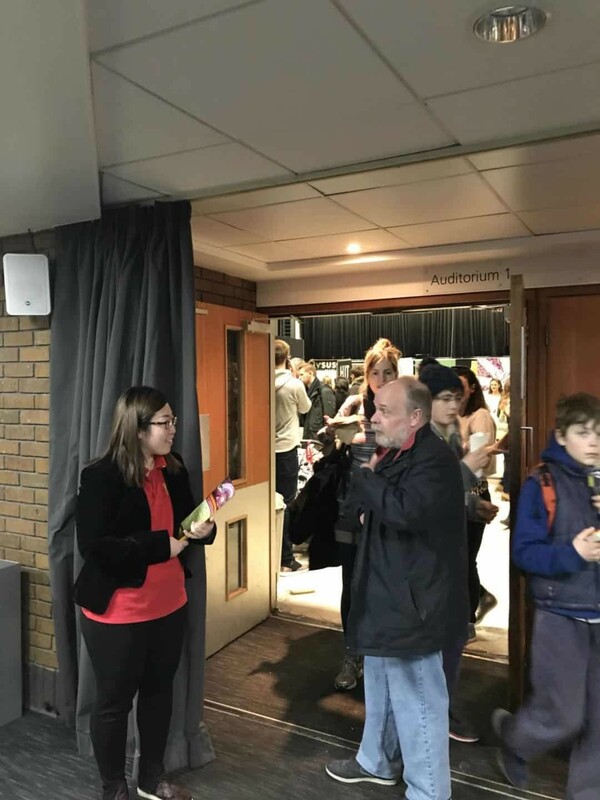 On the 24th March 2018, Guan Yin Citta took part in VegfestUK in Brighton which is the UK’s biggest vegan event. Moreover, Guan Yin Citta was the one stall out of 230 stalls in this event, that stood proudly as a none profit Buddhism Charity Foundation stall. 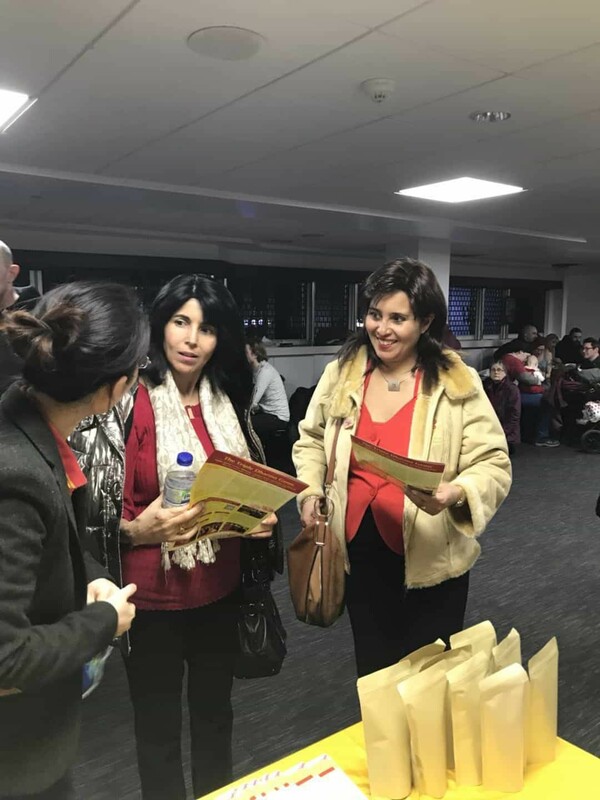 The event was a heaven for many people, that had varying reasons to attend whether they wanted to mix with like-minded people, or are simply curious about vegan lifestyles. Surprisingly, there are lots of people that know a lot about Buddhism, that come from different backgrounds and nations. There were some highlights in this event. First, all the flyers and Blessing Rice in the goody bags were all given out within 3 hours. 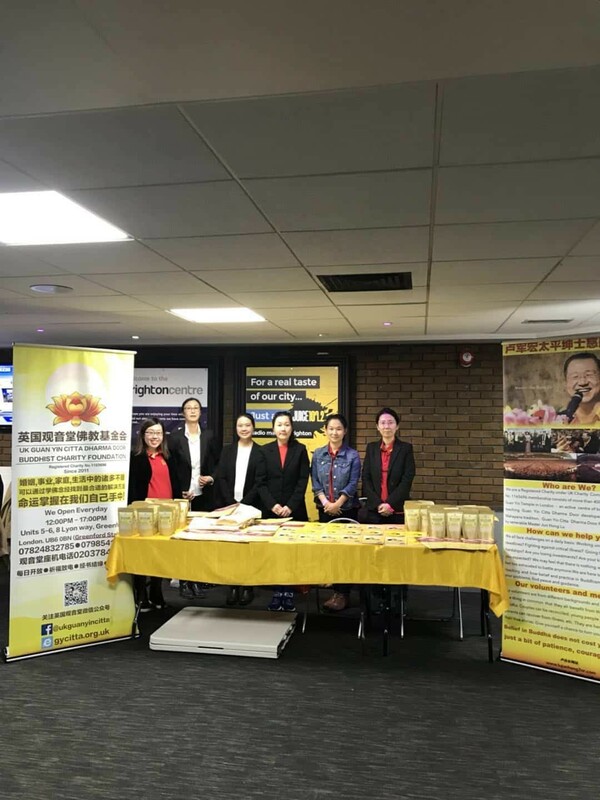 Moreover, the volunteers were very passionate about sharing the background and the mission of Guan Yin Citta, spreading the news that Guan Yin Citta can help the society, especially for the people who have mental health problems and obstacles in lives. 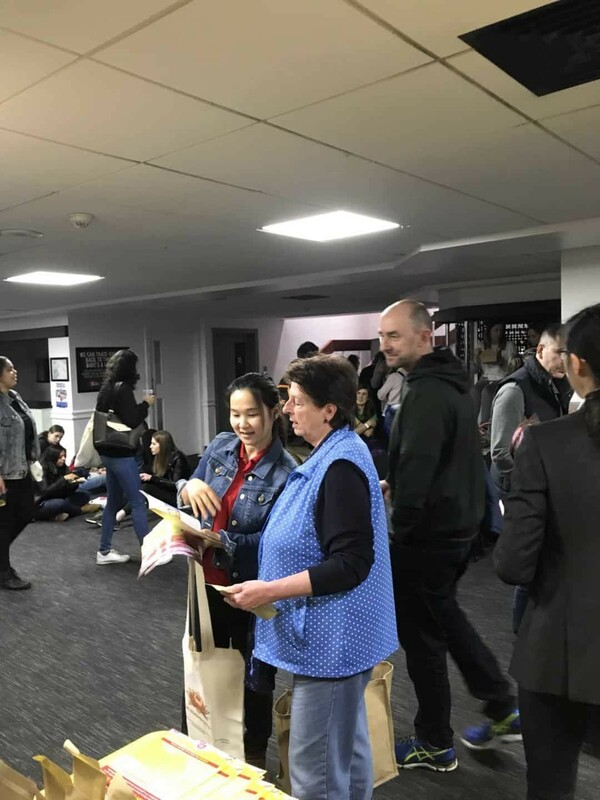 Furthermore, not only did people share their stories about why they became vegans or vegetarians, but also they exchanged the thoughts and the understanding of Buddhism compassion. There are no boundaries in expressing compassion to sentient beings. In short, we learn to give our compassion to others. This would be one piece wisdom and harmony that we shall share in life.